October 19, 2016 By JRL, Esq. When you create your estate plan, the principal document will be your revocable living trust. And one of the key decisions you are going to have to make is who will be the successor trustee when you are no longer able to serve as the trustee. You have many choices. Many people will use a family member or close friend or business associate. However, another option is a professional corporate trustee. There are many problems that can arise when using an individual as a successor trustee. For example, if you name one of your children as the successor trustee, you are almost inviting controversy between the successor trustee child and your other children. Disputes often arise about how the child named as a successor trustee is administering the trust. And often the trustee child does not fully appreciate or understand the fiduciary obligations that he or she has as a trustee. This can easily lead to unintentional breaches of fiduciary duties and subsequent liability. And it is often the case that an individual, whether a family member or not, simply does not have the experience and tools necessary to properly perform the services of a trustee. Consequently, it is very often a good idea to name a corporate trustee to administer the trust estate when you have gone. Corporate trustees have trained and dedicated trust officers who have the experience and knowledge needed to handle the many complexities of trust administration. Not only do they have the experience, but they also have the resources, such as the proper accounting software, needed to manage the trust assets properly. It’s also the case that corporate trustees don’t harbor the personal biases that family members or friends may have towards other beneficiaries. They are able to act as a neutral third party who will simply follow the instructions in an objective manner as you have laid out in your trust. In addition, there are various government agencies that monitor and regulate the corporate trustees, which are held to a standard of conduct that is much higher than individual trustees may be held to. It is common for a trust to be established for multiple generations. 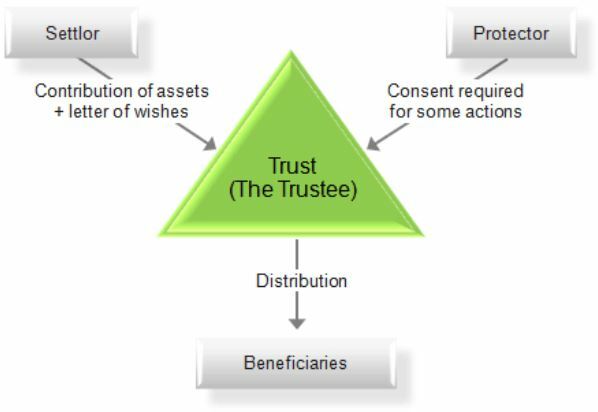 Naming an individual trustee is problematic since that person will die, yet the trust continues for many more years. Naming a corporate trustee solves the problem of the continuity that is desirable in trustees over a long period of time. A common question that is asked is whether or how much corporate trustees are paid. What people often do not fully appreciate is the amount of work that is involved in properly administering a trust. Even individuals named as successor trustees are entitled to compensation for their services. So while corporate trustee compensation can range widely, the knowledge and expertise that you receive from corporate trustees is well worth the relatively small amount that is paid in terms of trustee fees to the corporate trustee. If you have questions about using a corporate trustee or would like to amend your trust to include a corporate trustee, please contact our office for assistance.